Ganha até 0,55 US$ com a Kinguin Mafia! Sabe Mais! A high resolution digital copy of the Ubersreik Map, detailing the town and its treacherous streets. High resolution wallpapers to decorate your screen and prepare you for the battles to come. 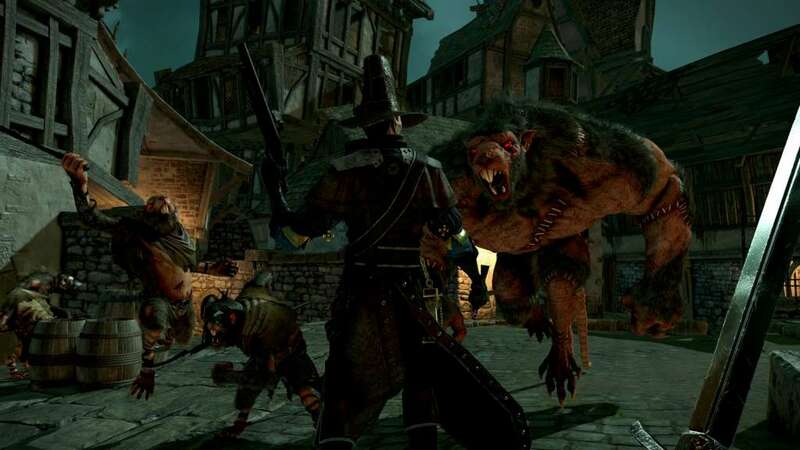 This pack contains documents, concepts and footage stretching back to the beginning of Vermintide’s development. A Guard for the Bright Wizard that is adorned with beeswax candles from Altdorf's most exclusive chandler. Beeswax candles burns cleanly without the foul and terrible odour of their cheaper tallow counterparts. From the Dark Lands to Marienburg, the shape of the Dal Grimazul helm is instantly recognizable. This is the classic Dwarf War Helm, proven over millennia of battle and hardship, and a favourite of Bardin the Ranger. A battle hood from the Hall of Tal Amere in Atylwyth, the winter realm of Athel Loren. Its delicate fabric keeps the wearer warm and safe, useful for Kerillian as she walks the often cold and hostile land of men. A helmet for the Soldier, named after the ‘Ironsides’, a unit whose recruits are drawn from the guards and apprentices of the renowned Imperial Gunnery School. Clad in heavy armour and armed with master-wrought firearms, the Nuln Ironsides are one of the most widely respected and well equipped Handgunner regiments in the Empire. 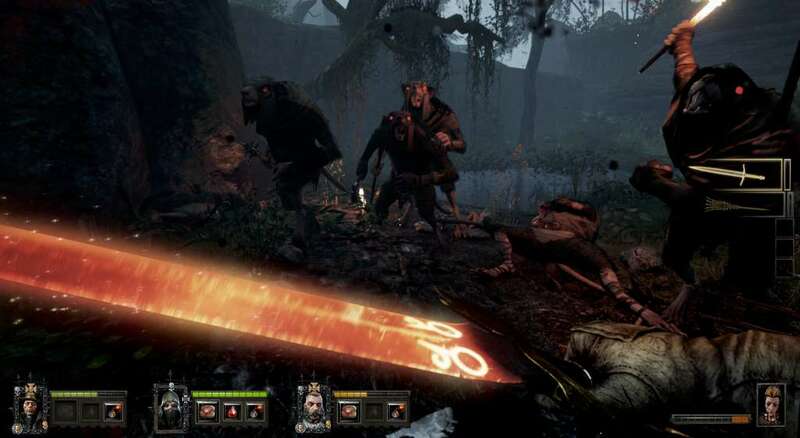 Vermintide is a co-operative action first person shooter and melee combat adventure set in the End Times of the iconic Warhammer Fantasy world. 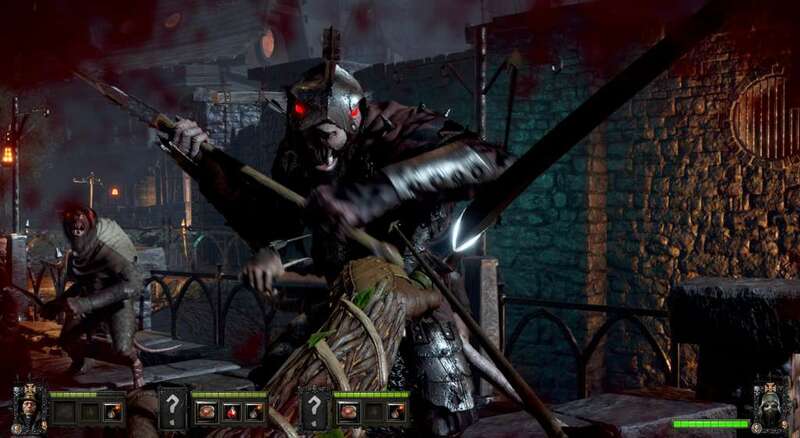 Vermintide takes place in and around Ubersreik, a city overrun by Skaven. You will assume the role of one of five heroes, each featuring different play-styles, abilities, gear and personality. 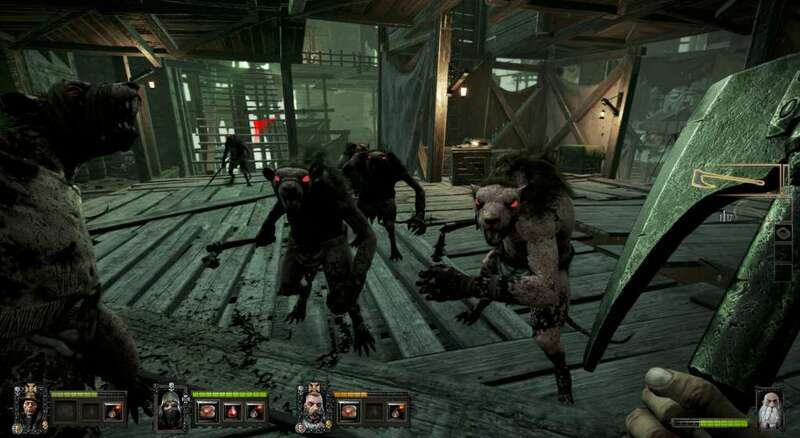 Working cooperatively, you must use their individual attributes to survive an apocalyptic invasion from the hordes of relentless rat-men, known as the Skaven. Battles will take place across a range of environments stretching from the top of the Magnus Tower to the bowels of the Under Empire. Cooperative Survival For up to 4 Players - Band together with your friends or die alone. 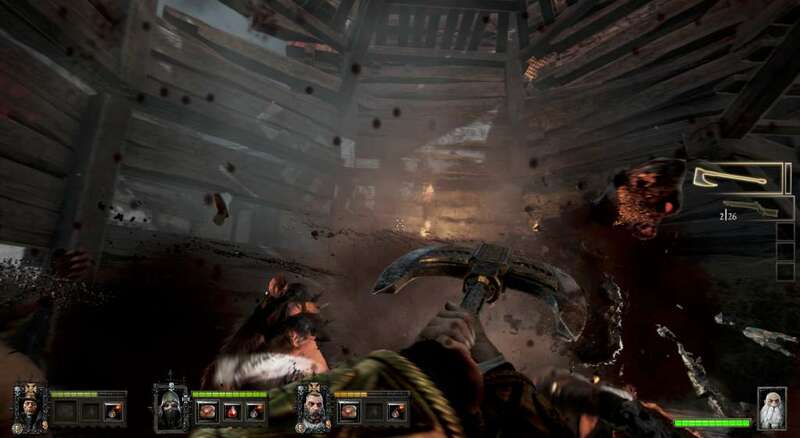 Vermintide will continuously test the teamwork and skill of you and your friends. Drop-in, drop-out Multiplayer and the addition of A.I. bots ensures a full team at any time, regardless of available players. Play as Five Unique Heroes - Five distinct characters to choose from, each with their own personality, agenda and story to tell. Learning what it means to work together is key to the group's survival.